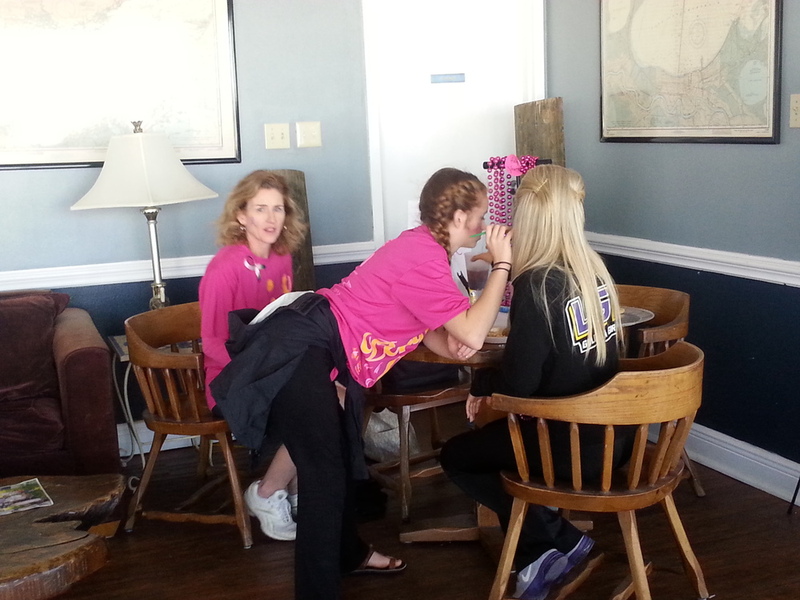 Ten team members ran or walked for the race that was held at Parc Sans Souci in downtown Lafayette, Louisiana. Click on the photo below to see more. 12-15-14 What Did LBCHP Do This Past October? 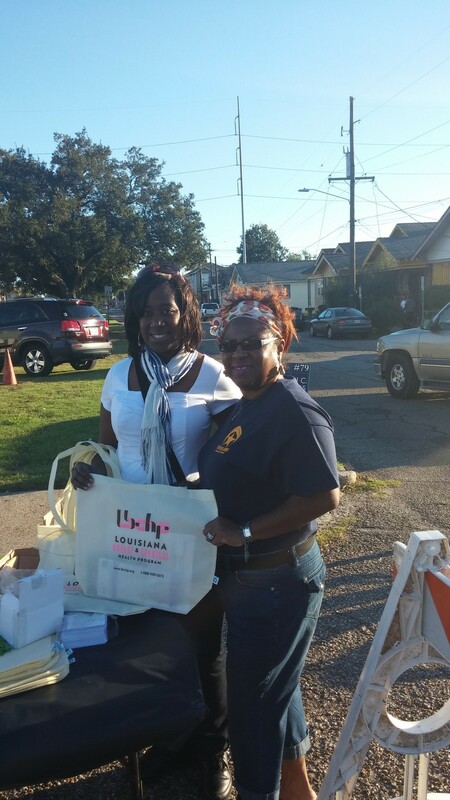 We did 38 events, where we reached an approximate audience of over 7,000 people, distributed 1,670 in educational materials and gave away almost 7,000 promotional items. 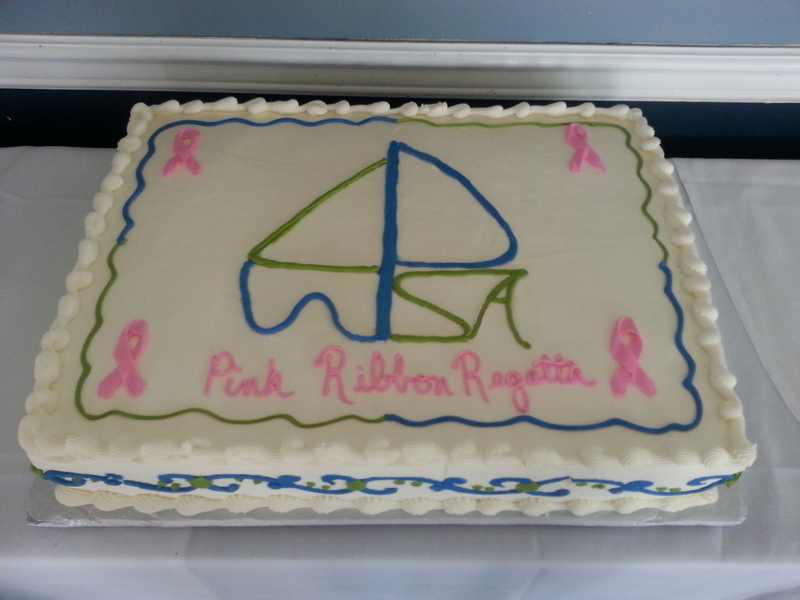 1 “Pink Ribbon” Regatta Presentation, which generated $10,000 in donations! 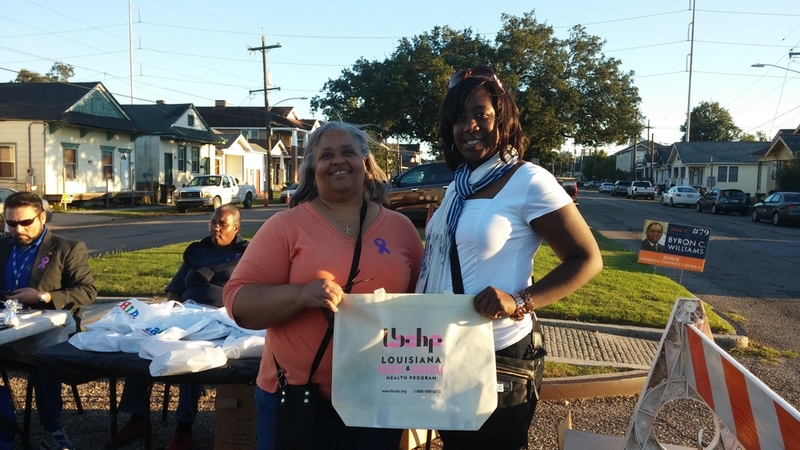 LBCHP staff participate in October breast cancer awareness events throughout the New Orleans area. 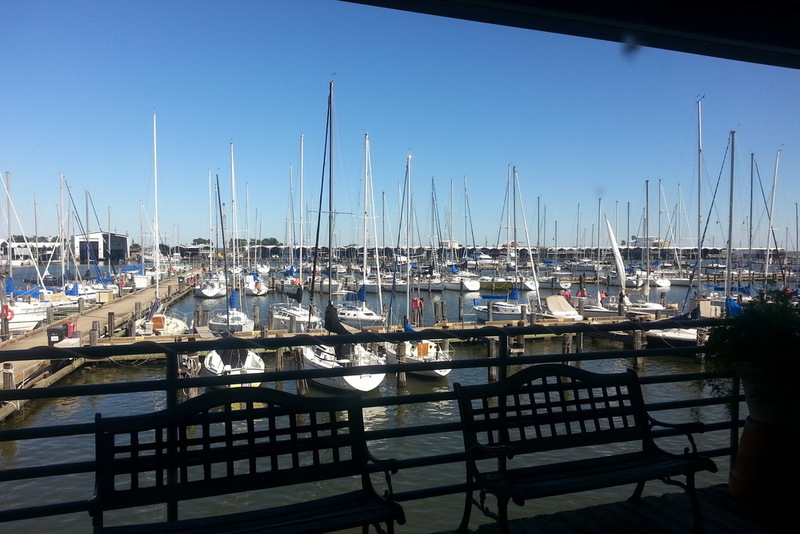 LBCHP would like to thank the Lake Pontchartrain Women's Sailing Association for their extremely generous donation of $13,000! Here LBCHP Manager (left) is receiving the check from Commodore Margie Offan (right), who said their 30 members "like doing good and having fun while doing it!" 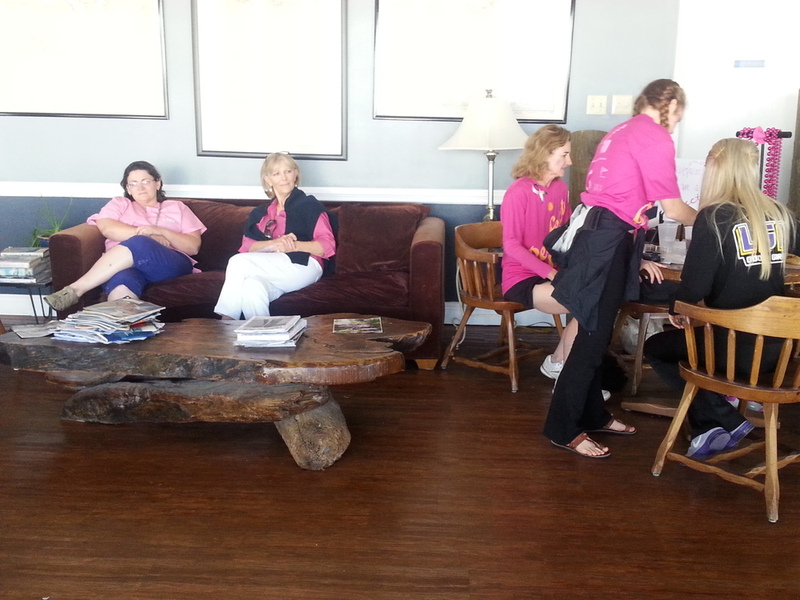 This year marked the 10th anniversary of the group's Pink Regatta. Three years ago, Joycelynn Jarrell was diagnosed with breast cancer through LBCHP, a revelation that made her realize just how important breast cancer awareness and early detection is and how essential the LBCHP was in saving her life. As a way to give back, she sponsored this Day of Pink Brunch on Sunday, Aug. 10 and asked our own LBCHP provider Dr. Denise Johnson, her former physician to speak. 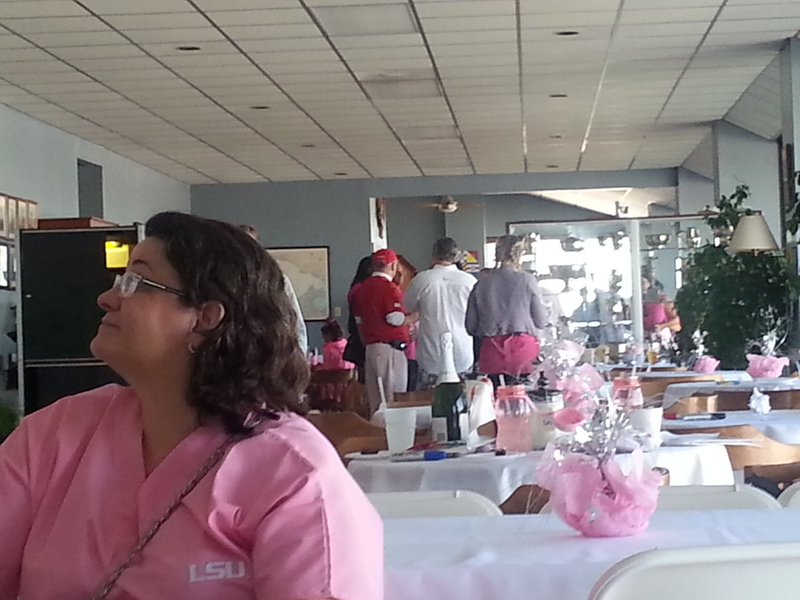 Joycelynn Jarrell (left) and Dr. Denise Johnson (right) at the Day of Pink Brunch. Jarrell credits LBCHP for helping save her life. 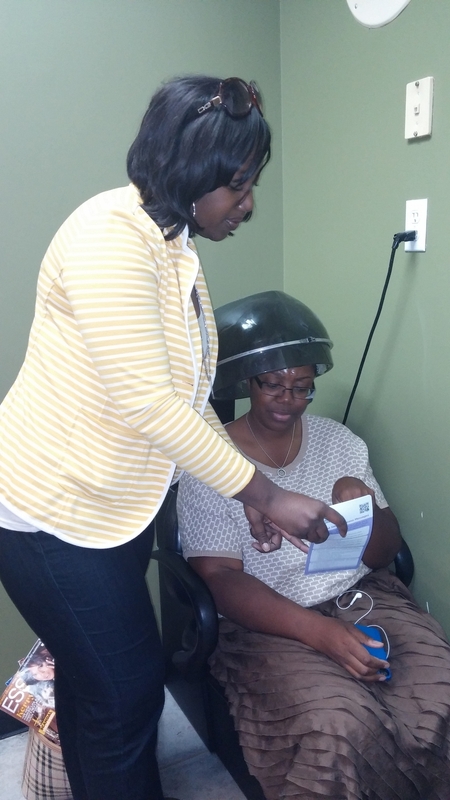 At a dark moment in her life, LBCHP Patient Mrs. C.C. Ferrand found our own Dr. Denise Johnson’s compassion, empathy and professionalism so exemplary, she asked the New Orleans City Council to issue Dr. Johnson this Certificate of Achievement. 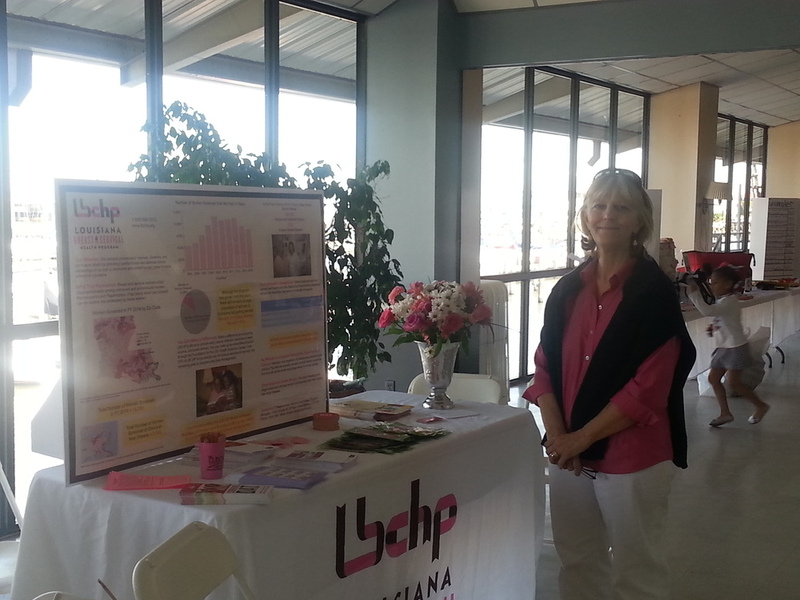 We thank Mrs. Ferrand for the accolade and hope that the care that she received at LBCHP will inspire other women to ask if they qualify for no-cost mammograms and cervical cancer screenings.